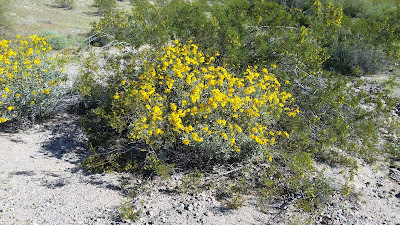 Earlier rains had caused the wildflowers to flower in the area. 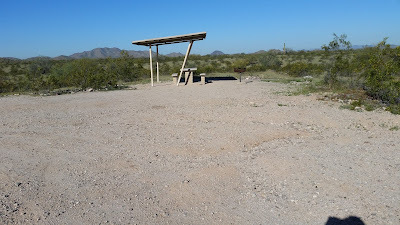 A typical campsite at Buckeye Hills with a stone fire ring. 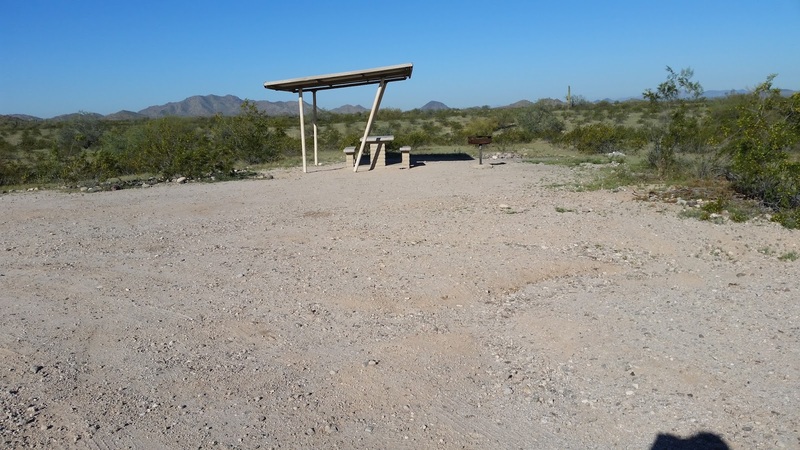 A more "formal" campsite with it's own covered picnic table. 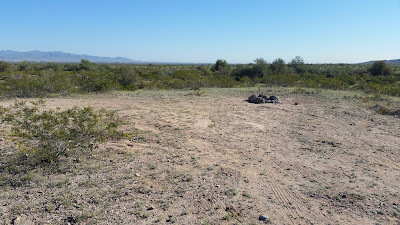 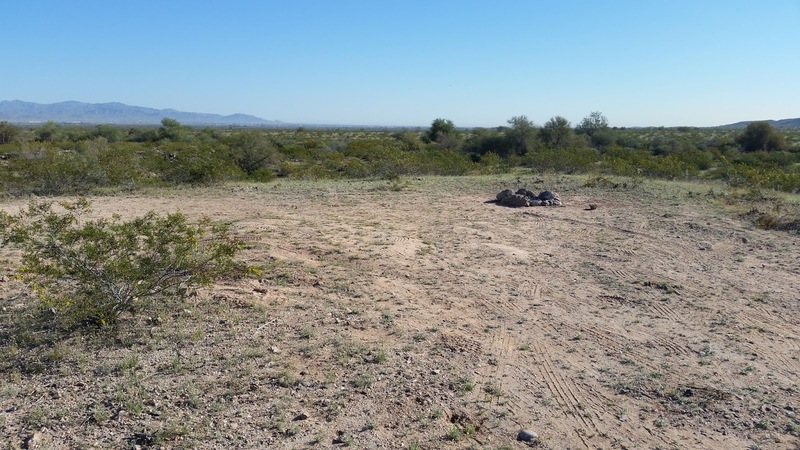 A "tiny" white Tank (left center) at it's site at the base of a hill. 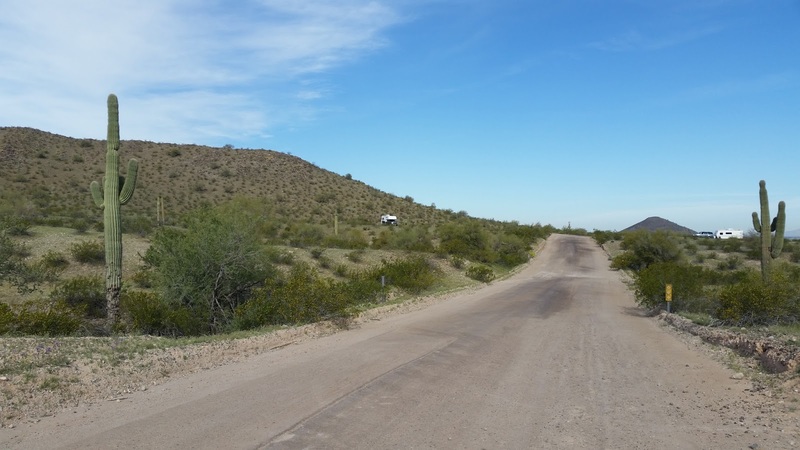 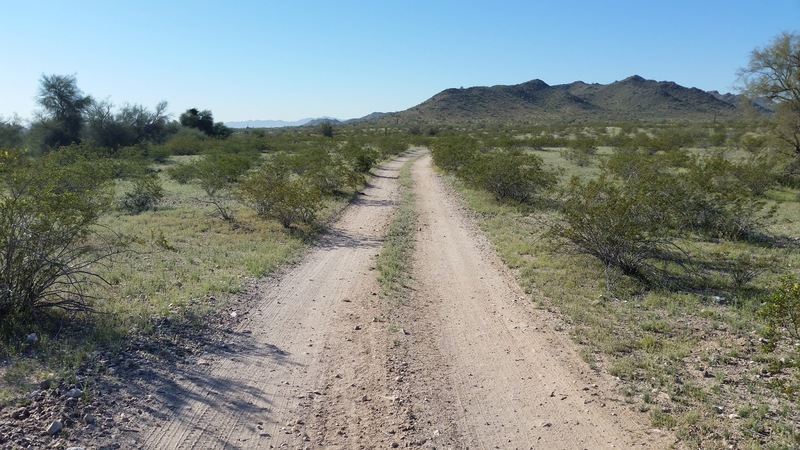 One of the hiking trails through Buckeye Hills.